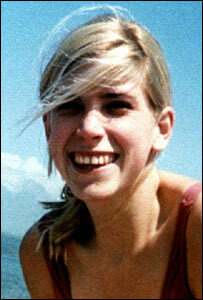 A man has appeared in court charged with murdering Rachel Nickell on Wimbledon Common 15 years ago. The 23-year-old former model was stabbed 49 times and sexually assaulted as she walked with her young son in south-west London on 15 July 1992. Robert Napper, 41, has appeared via video link at City of Westminster Magistrates' Court. He was bailed until a hearing on 20 December on the condition he remains at Broadmoor Psychiatric Hospital. The next hearing will be at the Old Bailey, ahead of a trial at the same court. Napper was charged on Wednesday after a review of the evidence by police and the Crown Prosecution Service (CPS) into the former model's killing.